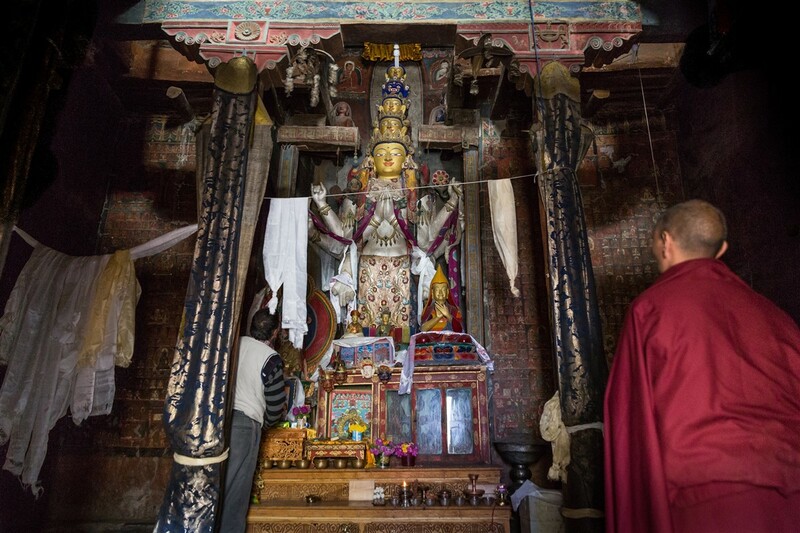 Wanla Gompa is an ancient and historic monastery believed to date back 1,000 years to the time of Richen Zangpo, who was one of the greatest translators of Buddhist texts. 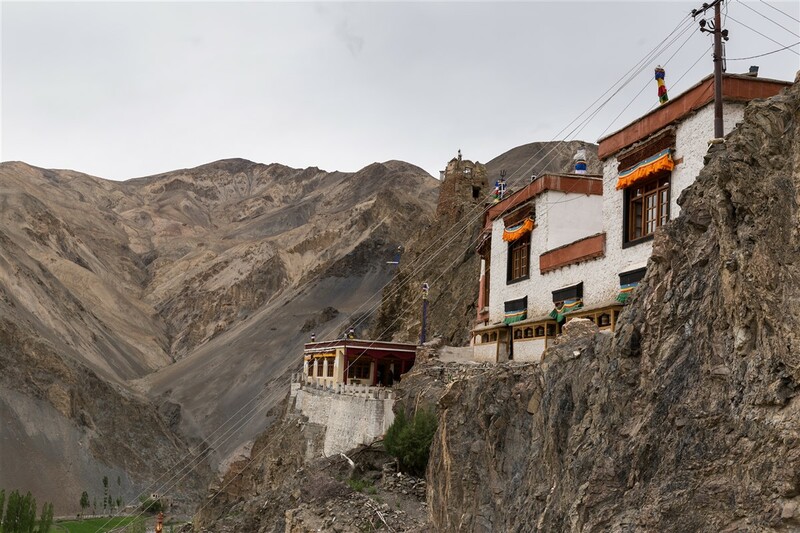 The Gompa stands high above the village of Wanla on a precipitous crag, 12 km down a narrow road that branches off the highway near Lamayuru. 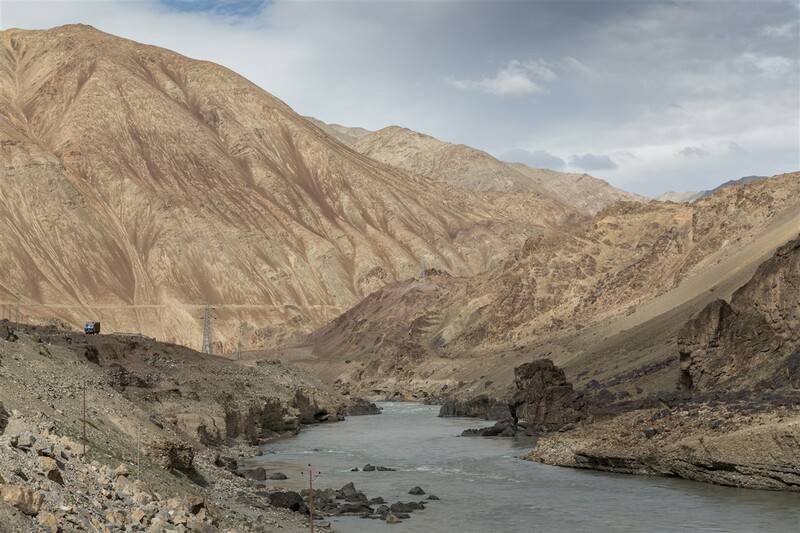 The drive to the Gompa from Lamayuru is incredibly scenic, my poor driver had to stop on numerous occasions as I just couldn’t let the scenes go by with my camera close to hand. 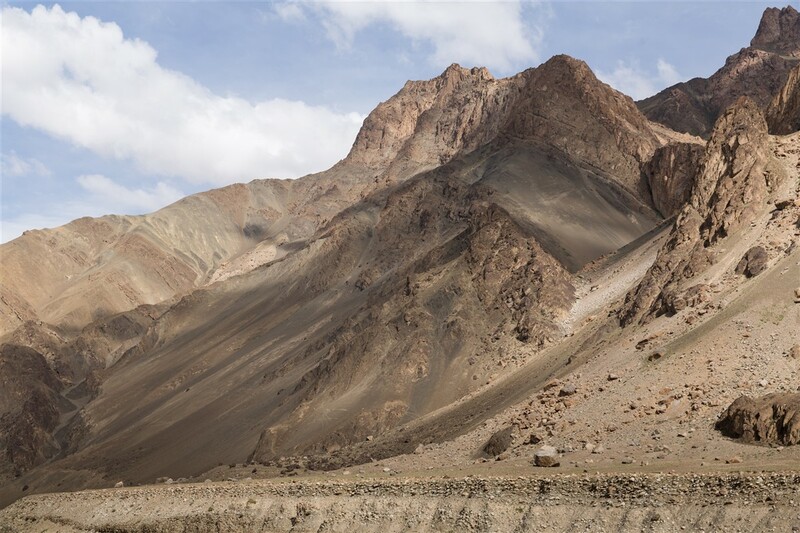 That’s a recurring theme throughout my Ladakh travels, and a constant reminder that any days planning needs to factor in the hundreds of quick stops that inevitably happen as you make your way to any destination. 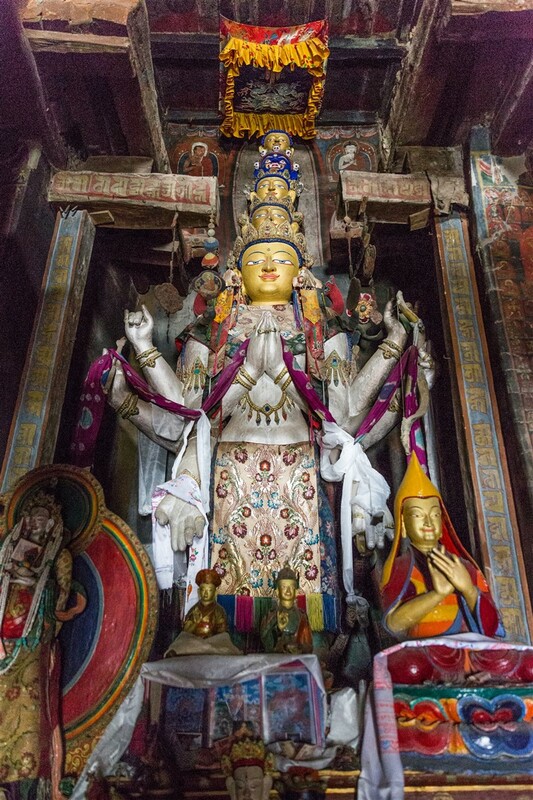 The main temple at Wanla is the Sumtsek, with three niches housing giant standing images, similar to those you can see at Alchi Gompa. The lighting is almost non-existent, if your camera struggles in low light then you may just have to miss out on any decent photographs here, and of course no flash must ever be used in such places. The main image in the niche opposite the entrance is of the eleven-headed, eight armed Avalokiteswara. To the left stands Lakayamuni (an avatar of Avalokiteswara), and to the right Sakyamuni Buddha. Old murals adorn the walls, in wonderful condition for their age. 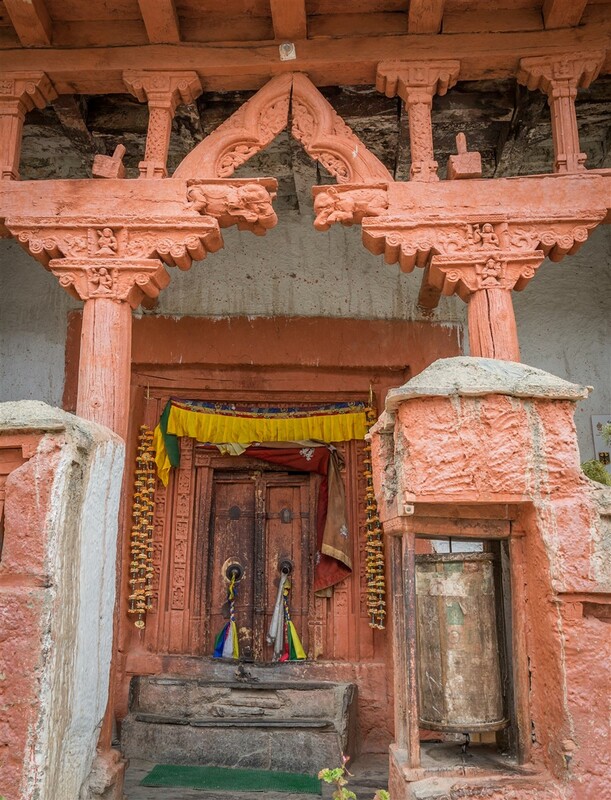 A mention must be made of the Alchi Association, who have recently been restoring and conserving the temple. 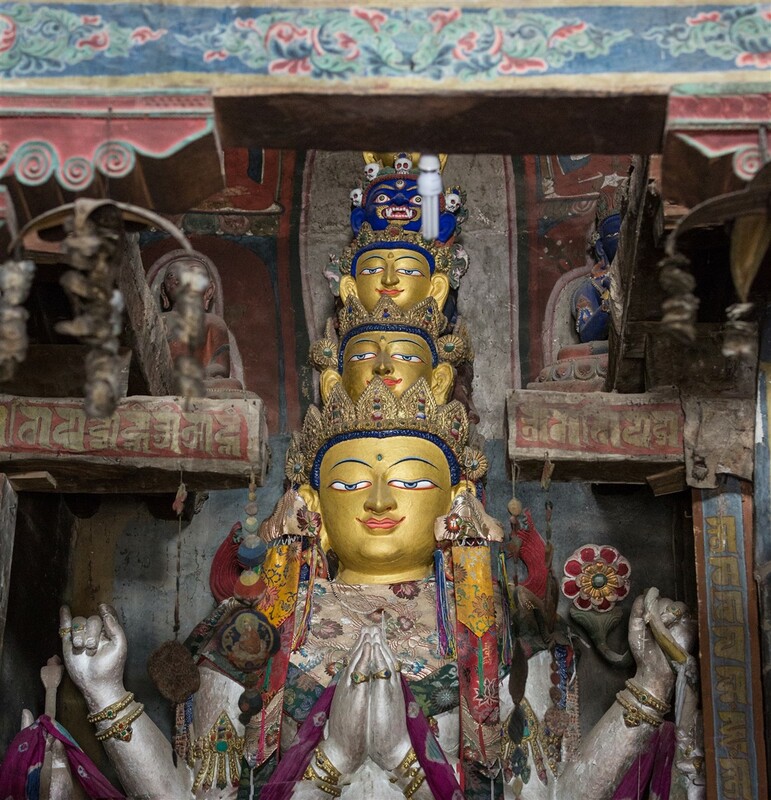 The Sumtsek temple is is one of the earliest known Drigung Kagyu prayer chambers to have survived in Ladakh. It’s an immensely atmospheric room, one of the highlights of my second visit to the Ladakh region. Here you will almost certainly be alone, no vast swathes of visitors filling the space and disturbing the peacefulness of the experience. 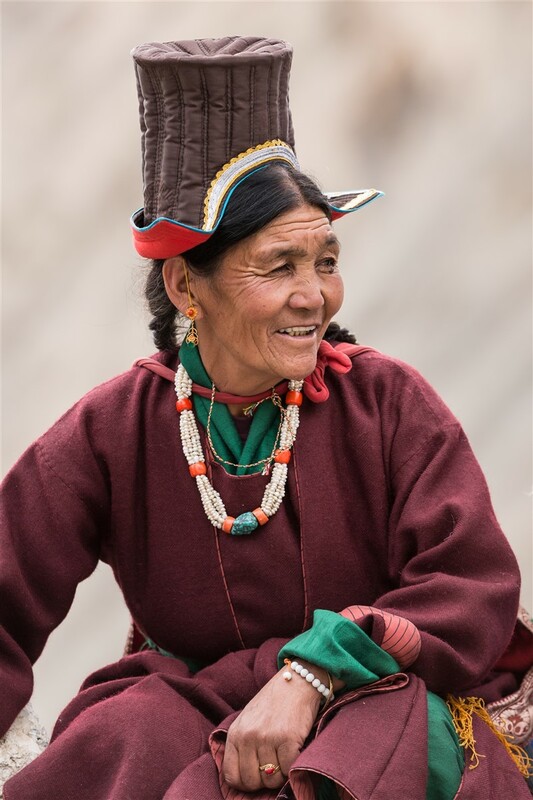 Wanla is a sub-monastery of Lamayuru which provides a caretaker monk responsible for daily rituals and for granting access to the temple. 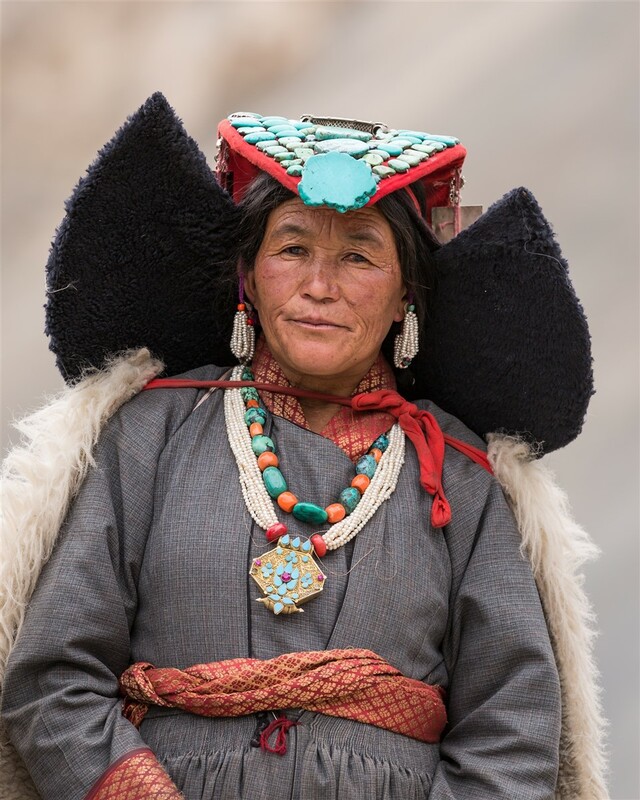 The complex sits within the sparse remnants of a medieval castle whose construction is mentioned in Ladakhi chronicles as being by the 12th century king Ladakhi King Lhachen Ngaglug. The monastery was added in the heart of the castle in the 14th century. 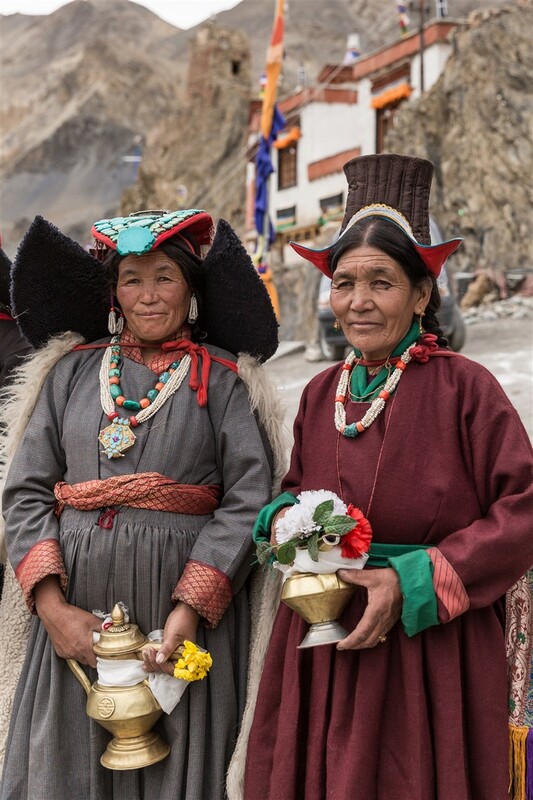 On leaving the Gompa I met a small group of women from the village, all dressed in traditional Ladaki costume. 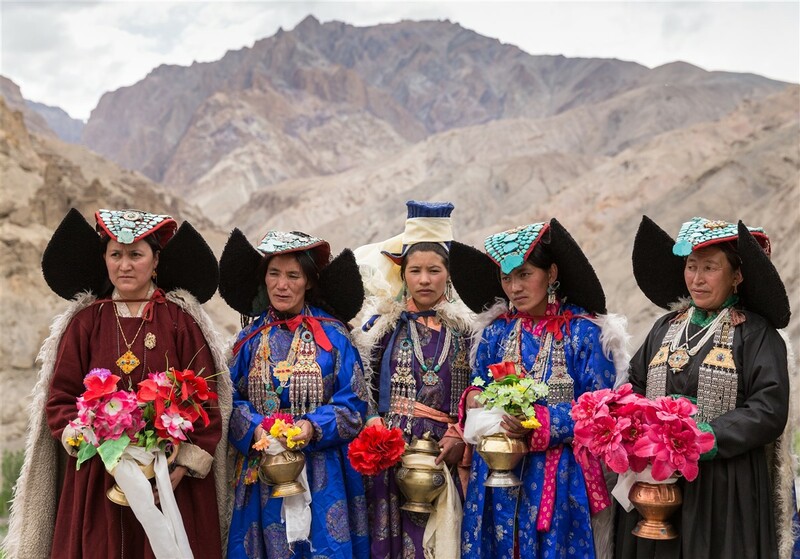 Although I had read a little about the regions traditional dress prior to my travels, this was the first time I had seen their wonderful head-dress, or the Perak. 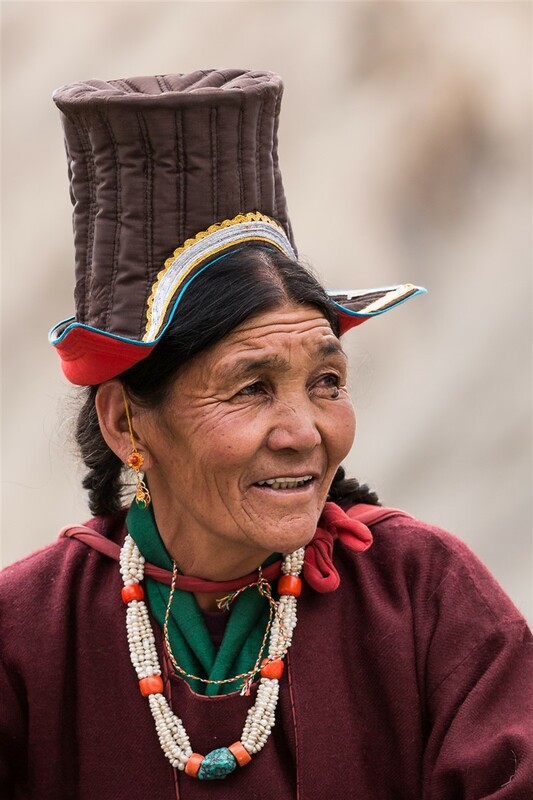 It is arguably the most attractive head-dress in the world to be worn by commoners. 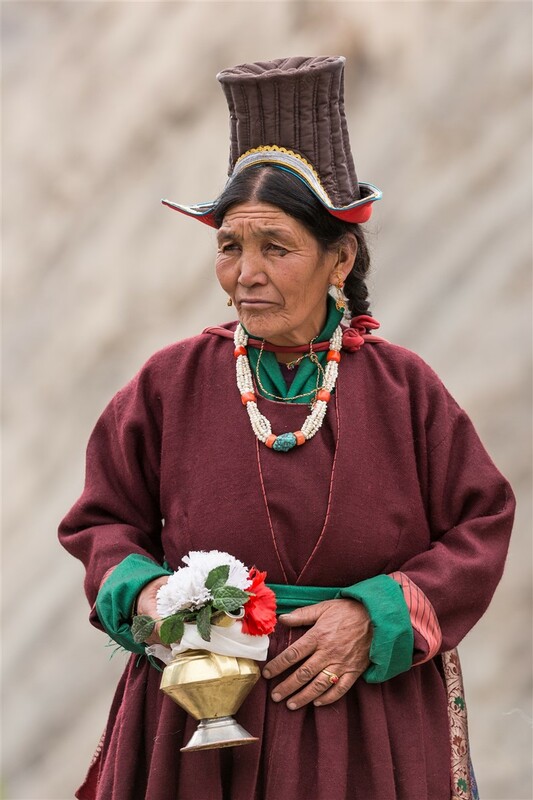 Weighing between 3 and 8 kg this ceremonial piece worn at all festivals is a symbol of marriage for a Ladakhi woman and is passed down as an heirloom from mother to daughter. It was an unexpected way to conclude my visit to Wanla, which was made all the more memorable for this chance encounter (and thankfully, not in a touristic setting). 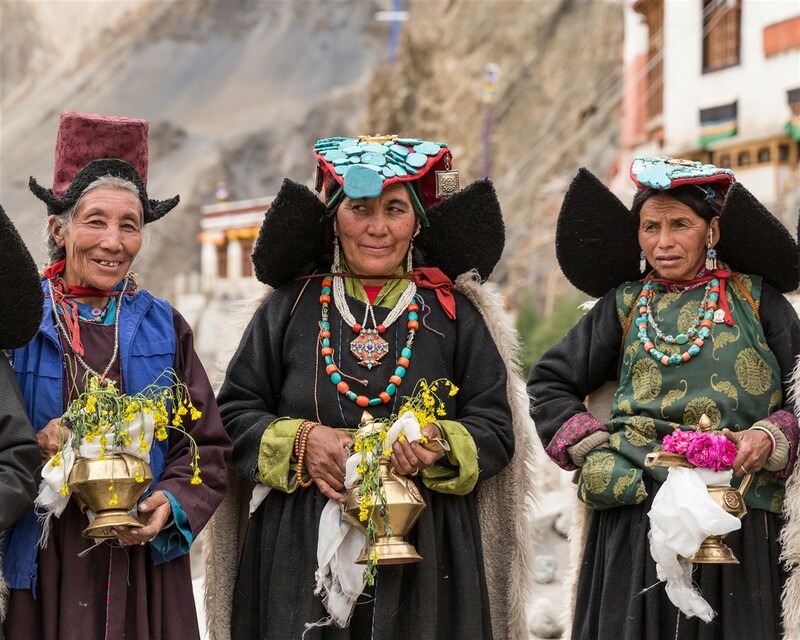 The women were there for a specific reason associated with the monastery, I imagine someone quite important was due to be visiting the gompa shortly after I departed. 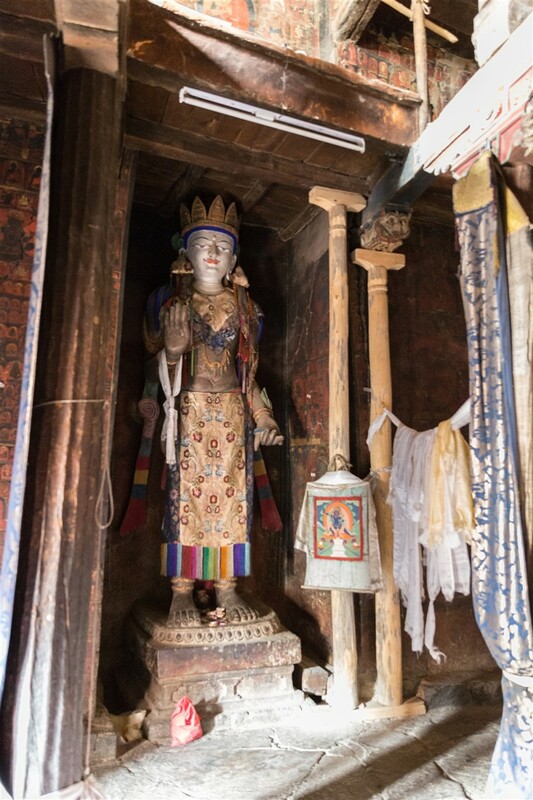 Wanla is only a short drive from the more popular Lamayuru Gompa, but well worth the excursion that seemingly very few people make the effort to see. 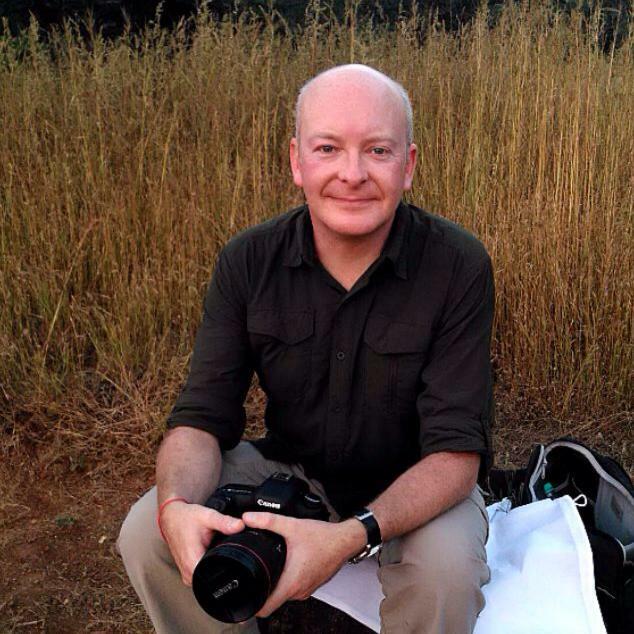 I did a solo walk from Lamayuru to Wanla, thence on to Alchi, way back in1982. 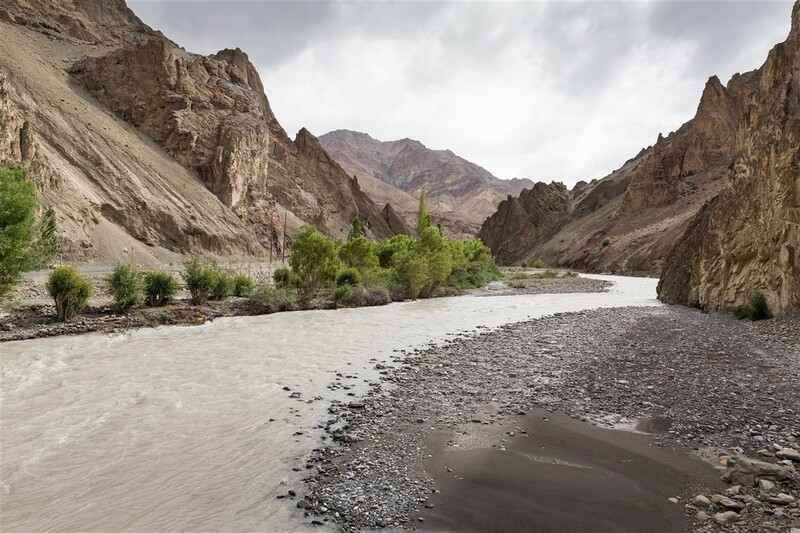 A delightful 3 day walk over a couple of minor passes and through some beautiful rugged canyons There was no road on that side of the Indus river then, and I am amazed that there is one now. Stayed for a week in Lamayuru in 82, and again in 85. Only a handful of monks and monklings present, though the village below was shaking off winter and preparing for the planting season. Incredible location, tremendous landscapes. History, culture, wildlife in abundance. Enjoyed bathing in the hot spring pool a the end of the Wanla valley. Glorious walking country. Hope to make it back before I exit, perhaps sometime next year, 2017. 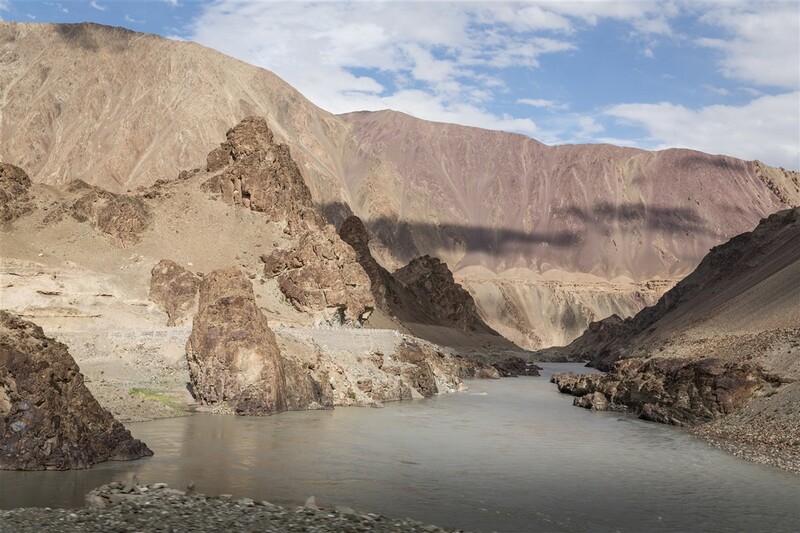 I would love to take the walk from Lamayuru/Wanla to Padum, Zanskar, through the gorges, along the river. Too ambitious?